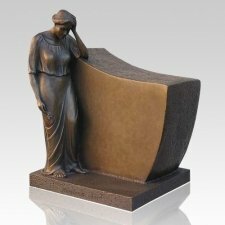 The Remembrance Cremation Urn is made from cast solid bronze with a natural bronze patina. The urn reflects the remembrance and peacefulness in life. A wonderful urn to create a final resting place for your loved one.